Ceramic has been one of the oldest materials used in ancient craftsmanship and construction. It was used in manufacturing goods long before glass, steels, and types of cement. Ceramic tile is a timeless investment that will add value and awe to your home. With a perfect balance of art and architecture, ceramic tile is a beautiful option to enhance your space. Not only is tile known for the elegance it brings to a space but there are more benefits from switching to tile floor than meets the eye. Generally, ceramic tile is an affordable and durable flooring solution. While ceramic tile may not be as dense as porcelain, this durable tile will last for decades in your home. Where some floors have a life expectancy of only 15 years, ceramic tile will last three times as long with a 50-year life expectancy. Tile is worth the investment long term and is less annual maintenance than another flooring. Ceramic tile is made of clay and other minerals being mixed with water. It is mixed then placed in a high-temperature furnace and heated. Most manufacturers give their ceramic tile a fire-resistant rating over 1000 degrees Celsius which helps make it resistant to heat. Ceramic tile can be a gorgeous addition to your fireplace surround without the fear of heat damage. Since ceramic is only made of clays, minerals, and water, it is a very natural solution for your home. Some floors have been engineered with chemicals and other compounds, whereas ceramic is a straightforward process. Ceramic still come in a vast selection of colors and patterns, allowing you to customize your space according to your style and design preferences. Unlike carpet, which can hold in nuisance dust and pollen, ceramic tile is easy to clean. Just by sweeping or mopping the area you can quickly remove allergens residing on the surface. Ceramic tile is lower maintenance and easier to clean when compared to some other flooring options. Not all floors have ceramics tile’s level of resistance to water. Where carpets and woods may be highly susceptible to mildew and mold, ceramic tile is not. Once you waterproof the wet areas under your ceramic, this tile will not hold water or create mildew and mold. This also makes ceramic tile an excellent solution for fountains, pools, bathtubs, and bathrooms. 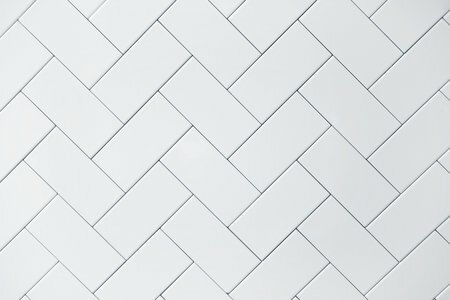 Ceramic tile has been around for a long time for a reason. Not only is it beautiful but with health benefits, fire-resistant properties, and a very long life-expectancy, ceramic tile is perfect for your next home improvement project. Any room that you add ceramic tile in will quickly become a focal point of your home! For more information on our selection, please visit our beautiful showroom at 1821 S. ARIZONA AVE.
YUMA, AZ 85365. We look forward to the opportunity to work with you. You got me when you said that ceramic tiles can easily be cleaned so you can be sure that you can remove the allergens on it. My husband and I are looking for the best tile floorings. We want to make sure that our son’s allergy won’t get trigger because of trapped allergens on our floorings. We will make sure to find a tiling contractor that offers ceramic tiles installation services. You made a great point when you said that tiles are very natural for your home because they are generally made from clays, minerals, and water. When installing such an organic flooring option, it’s best to employ a professional that can aid in the process. My neighbor wants new tile in his bathroom, so I’ll be sure to help him find a reliable contractor that has a wide selection of tile options.